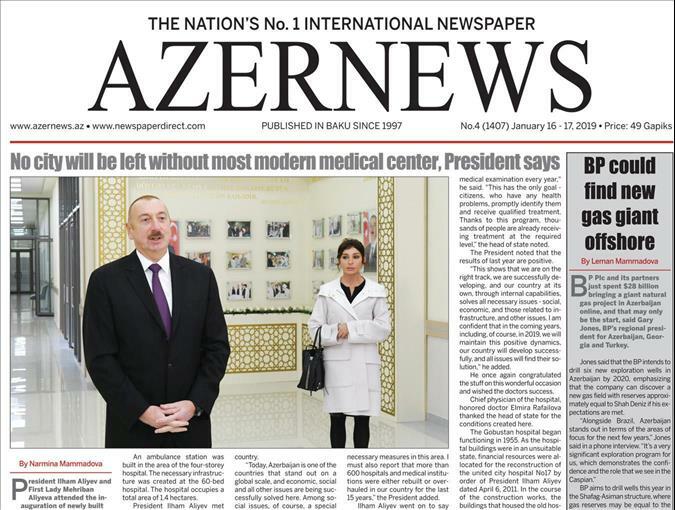 A new print edition of the AZERNEWS online newspaper was released on January 16. The new edition includes articles: Talks on new strategic partnership agreement with EU progressing, SOCAR Energy Ukraine reveals priorities for 2019, National karatekas grab ten medals at Croatian Grand Prix, Homes owned by legendary culture and art figures etc. AZERNEWS is an associate member of the World Association of Newspapers and News Publishers (WAN-IFRA). The online newspaper is available at www.azernews.az .